Vintage wood doll thread keep/holder and pin cushion. Double sided, the 4th photo shows the back. 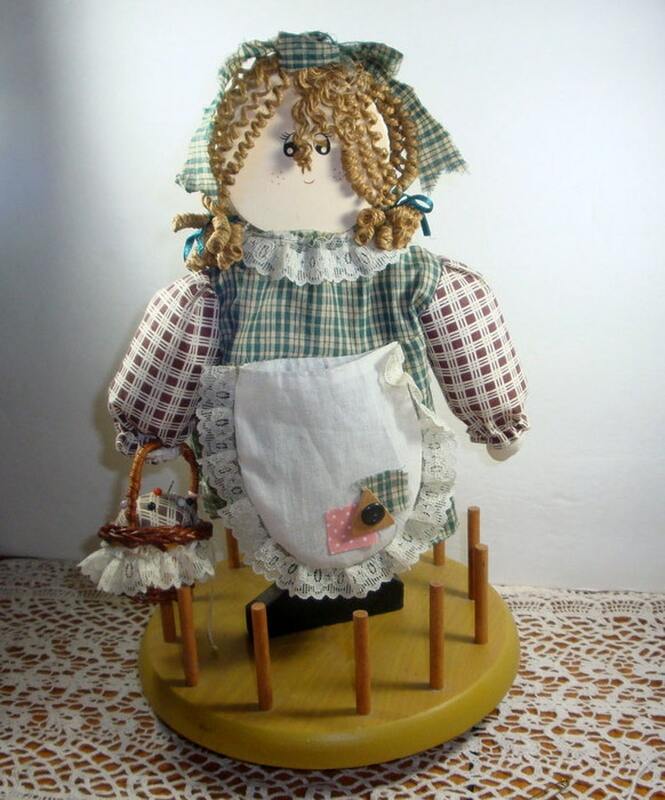 The doll is holding a small basket that is the pin cushion. Both sides have a pocket which can hold your tape measure or a small pair of scissors. Will hold 12 spools of thread. Made to swivel, but doesn't swirl easily. In good vintage condition, very minor spots here and there and a few places where the glue is showing on the thread dowels. More sewing organizers? I'll combine all shipping costs. Due to weight and location shipping may vary, I'll refund any overages.